This must be Rosemary's baby! 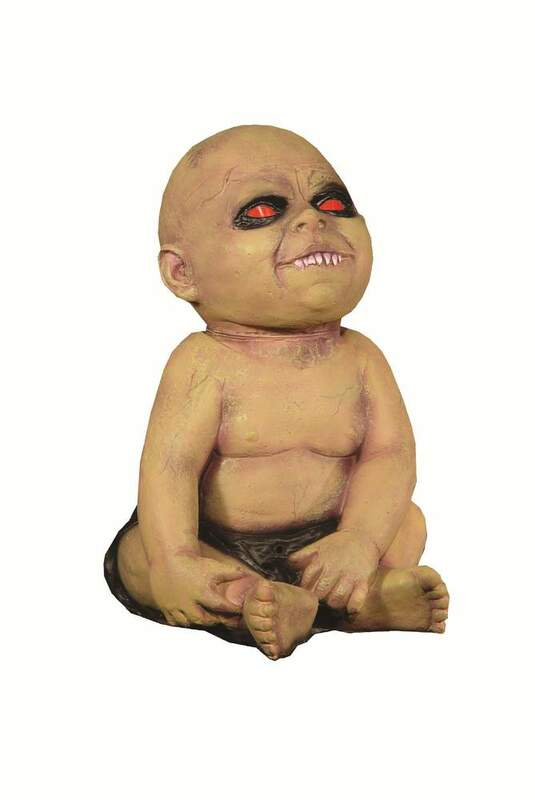 This animated Spinning Head Baby prop features motion activation (sensor barely visible on dark diaper), which triggers crying and growling sounds, light up flashing eyes, and of course, a spinning head! A very cool animated Halloween prop. See the video below! Requires 3 AA batteries, not included.